‘When will global Co2 emissions peak?’ and ‘How fast will they decline?’ These are two questions that are of critical importance to all of our futures. Neither question can yet be definitively answered. 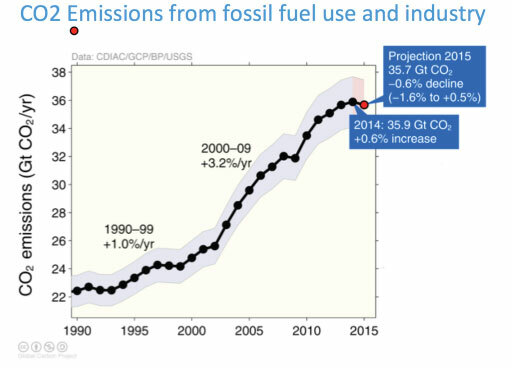 However the top graph seems to suggest that this year might have seen emissions peak. If so it is the best Christmas present anyone could possibly have. In a very good article Brad Plumer argues that it is perhaps too early to celebrate. These encouraging figures may yet prove to be a blip, and that emissions will rise until 2030, as many governments seem to believe. 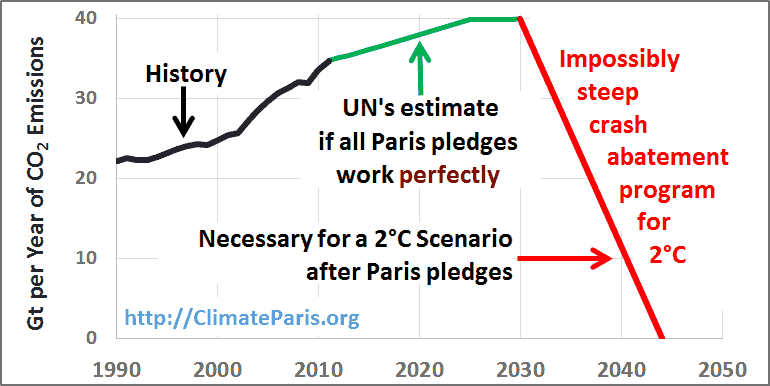 However as the bottom graph shows if emissions peak this late, as per the Paris pledges, the chances of keeping global temperature increase to below 2 degrees Centigrade would be vanishingly small. The small decrease this year seems largely due to China’s apparent declining coal use. That may be a blip or the start of a long term decline. I tend to be optimistic on this issue, given China’s increasing investments in energy efficiency and renewables. Emissions are falling in most advanced industrialized countries but are expected to rise rapidly in a number of newly industrializing countries, notably India, Turkey, Indonesia, Mexico, South Africa and the Philippines. These half dozen countries, along with many others, are all planning building more coal fired power stations. They may find that renewables are already a cheaper option, and certainly a better option with more long term security. Each of these six countries has huge renewable energy potential. It will be both in the interests of each of them and the global community that they develop this potential as quickly as possible. If they and the rest of us invest sensibly in the best mix of renewables and efficiency measures we could see global emissions fall again in 2016, and continue to fall all the way to zero over the next twenty to twenty-five years. And that really would be something to celebrate! This entry was posted in Climate Change, Global on 29 December 2015 by Richard. Per capita carbon emissions in Ethiopia are a miniscule 0.1 tonnes, yet Ethiopia is planning rapid cuts in emissions. It is one of the most dynamic economies on Earth, with double digit growth rates. Most of its population still lack many basic services, including electricity. Demand for electricity is exponentially growing. Ethiopia is investing very heavily in new infrastructure, especially in renewable energy of many kinds. The highly controversial 6,000MW Grand Ethiopian Renaissance Dam is currently under construction on the Blue Nile, close to the Sudanese border. It is the largest in a whole series of large scale hydro projects across the country. There are inevitably social and environmental consequences, some of which will be negative, some positive. Many other forms of renewables have considerably less downsides; however this large hydro will form an important part of an expanding portfolio of renewables. A few months ago the 153 MW Adama wind farm opened and is currently the largest wind farm in sub-Saharan Africa. More wind farms are rapidly being built, and as it tends to be windiest during the dry season when the hydro is producing less power they together make a good mix. Solar photovoltaics are also rapidly expanding, and are proving especially useful in remote off-grid locations where they can be used in local micro-grids and for directly charging batteries for phones and lights. Over the next few months a couple of 500MW geothermal projects are due to come on stream, which will mean Ethiopia leaps from nowhere to being one of the leading geothermal nations. Ethiopia has plans not just to supply its entire population with renewable electricity but to export large surpluses to neighbouring countries. Addis Ababa is growing rapidly and old diesel buses and cars are a major source of pollution and congestion. 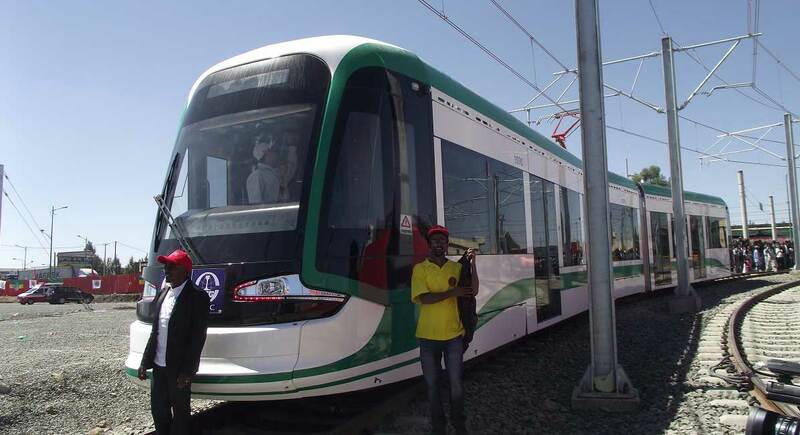 However these problems are being addressed with the opening of the Addis Ababa Light Rail Transit System, a modern electric tram system involving both underground and above ground sections. Also this year a new electric railway has opened, linking landlocked Ethiopia with the port of Djibouti, reducing the numbers of trucks making their way across mountains and deserts to the coast. Ethiopia has many challenges. Climate change and droughts threaten the country and this year being an el Niño year they are currently suffering. The population of Ethiopia passed the 100 million mark sometime in the last few months, up from under 20 million back in 1955, and 40 million at the time of the great famine of 1983-85. The rate of increase is now slowing. Ethiopia is not the best of democracies, but it has set itself some worthwhile goals in terms of achieving the sustainable development goals and rapidly rolling out renewable energy. Environmental commentators have talked a lot about contraction and convergence, where all the reductions in emissions would be made by the industrialized rich world and the poorer countries would be assumed to be able to increase emissions, at least temporarily. Ethiopia proves that even those countries with the very lowest emissions can further reduce them and in the process develop modern profitable Cleantec economies. That is a lesson for many other countries to follow. This entry was posted in Climate Change, Energy, Global, Transport on 22 December 2015 by Richard. Phew! Finally the COP 21 climate change conference is over. Was the Paris conference successful? What has been achieved? From a diplomatic point of view it has been an extraordinary triumph. Years of effort have gone into this process and every sentence has been fought over. This act of collaboration and cooperation is significant. Humanity will need to get better at cooperation if it is to rise to the macro-ecological challenges ahead. Getting all the 196 nations represented in Paris to agree to any document is in itself a historic achievement. It is a tribute to the United Nations and to the skill of French diplomats who hosted the complex process. Avaaz is hailing this agreement as a tremendous success while James Hansen is bemoaning that it will do little to actually deliver the low carbon economy we need. They are both right. Getting this agreement is to be celebrated as a diplomatic breakthrough. However it offers little in terms of how we will keep temperature rise to under 2C, let alone 1.5C, when we have already passed 1C, but it does accept that these are agreed goals. In a blog of 12th November I quoted Christiana Figueres as saying ‘negotiations don’t cause change, they mark it’. It is changes in the ‘real economy’ that matter. We need to keep fossil fuels in the ground. The renewable energy revolution is in full swing and the huge possibilities of increased energy efficiency are beginning to be realised. The falling price of energy is bankrupting many fossil fuel operations, and the disinvestment campaign is helping shift moral and financial legitimacy out of fossil fuels and into Cleantec. The best thing that could happen next would be a globally coordinated tax on fossil fuels to help speed up their demise and to raise useful funds for Cleantec research and to help poor communities develop sustainably. If all 196 countries can’t agree to this let’s have a coalition of those that do and get on with it as soon as possible. Those countries would then reap the benefits of increased investments in making their economies more energy efficient and less polluting. As well as massive technological change we need massive behavioural change. Greater cooperation must replace some of the conflict and competition in the world, and perhaps this is the most significant achievement of Paris. How countries cooperate with each other to rapidly transform their economies will be of critical importance to us all. This entry was posted in Climate Change, Global, Politics on 15 December 2015 by Richard. 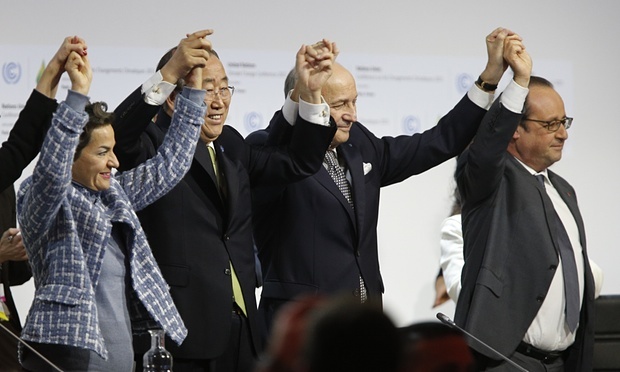 Leaders in Paris : seeking the limelight or creating real change? This week we’ve seen a tidal wave of politicians, business leaders and philanthropists making all the right noises, calling for action on Climate Change and announcing new initiatives. A couple of the most impressive have been President Obama’s Mission Innovation and the Breakthrough Energy Coalition led by Bill Gates and Mark Zuckerberg. Both these projects seek to increase research and development in renewable energy technology, in order to bring the costs of renewables to below that of fossil fuels. This is just what the Global Apollo Programme has been calling for. A report from the Finnish Innovation Fund Sitra claims existing renewable technologies are already cheaper and capable of meeting growing global energy demand. To bring the costs of renewables down further research and development needs to be pursued along with mass scale deployment, which is the goal of the International Solar Alliance of 120 countries, announced a few days ago by Presidents Modi of India and Hollande of France. All great stuff! However there is sadly a yawning gulf between the statements of some politicians about action on climate change and the overall results of their policies. 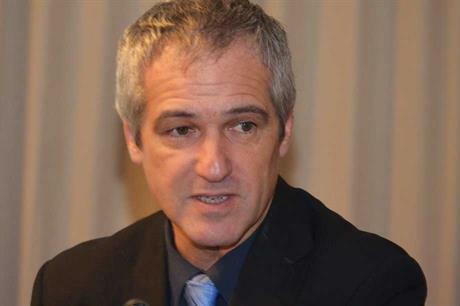 Matt McGrath, writing on BBC website said ‘in many nations the apparent contradiction is caused by politics. Different government departments had different plans… and these power battles are leading to many countries offering to cut their carbon while increasing their reliance on coal.’ India is a case in point. The UK intends to quit coal, but is increasing subsidies for oil and gas. Such confused and inconsistent policies are not helpful. 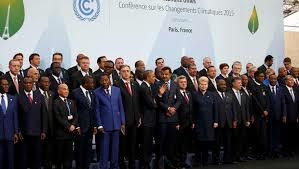 While politicians from large and powerful countries hog the limelight in Paris and desire to be seen as showing leadership, real leadership is being best demonstrated by countries like Morocco and Uruguay, Denmark and Sweden, which are all quietly busy developing modern renewables based economies and so showing leadership through action and not just words. Still I do wholeheartedly welcome these new initiatives and speeches: thinking and speaking of good intentions is the first step toward change, but it is only real and consistent action that will save us all from the worst ravages of extreme climate change. Humanity needs to shift to net negative carbon emissions as fast as possible and the individual country that achieves that goal for itself first will have demonstrated leadership the rest can follow. This entry was posted in Climate Change, Energy, Environmental, Global, Politics on 2 December 2015 by Richard.